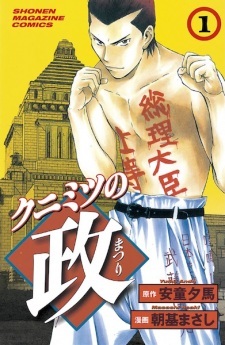 Eighteen year old Mutou Kunimitsu sees how political injustice is being committed all the time and how the government is profiting from the poor and labor class and decides that he is going to change all of Japan. Here starts the legend of the man later known as the "Japanese Don." Kunimitsu no Matsuri was adapted into an 11-episode live-action TV drama which aired in Japan from July 1, to September 9, 2003.